A brand new show by cabaret comedy queens Fringe Wives Club (WINNER Best Cabaret, AdlFringe '18). A turbo-charged feminist hootenanny, upending the often-heard "girl gone sad because boy done bad" narrative of country and folk music. These fierce femmes pay homage to the secret herstory of bad girls and dangerous women who strived for independence, backed by a soundtrack of songs from the 1920s to the almost-2020s! 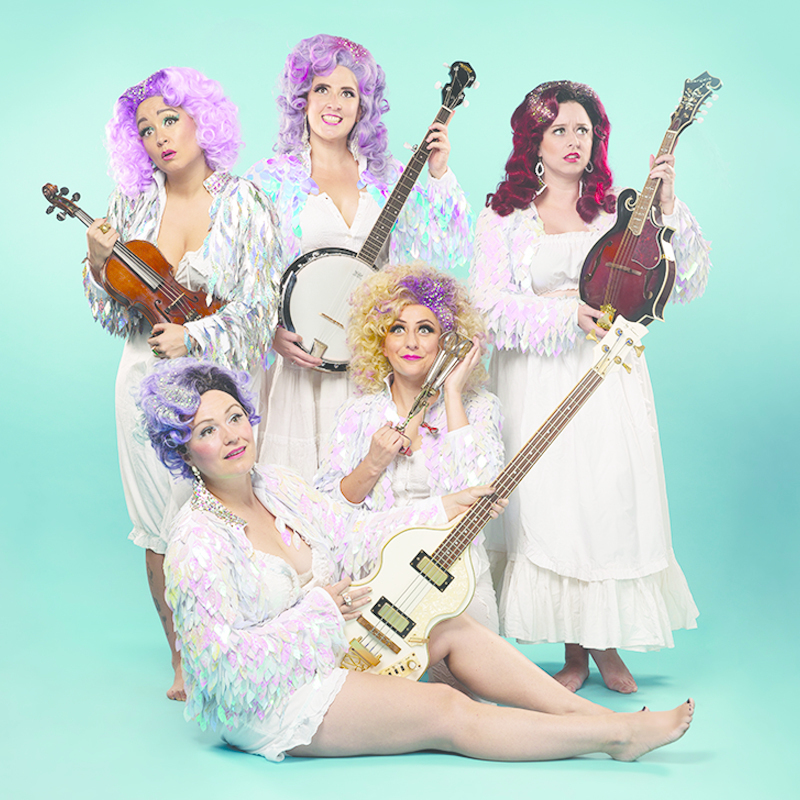 Starring a multi-talented group of furiously funny femmes 'Glittergrass' incorporates song, story telling, slapstick comedy and a live soundtrack played on fiddle, uke, accordion, double bass, musical saw, washboard, lagerphone, banjo, drums and whatever else they can get their hands on.